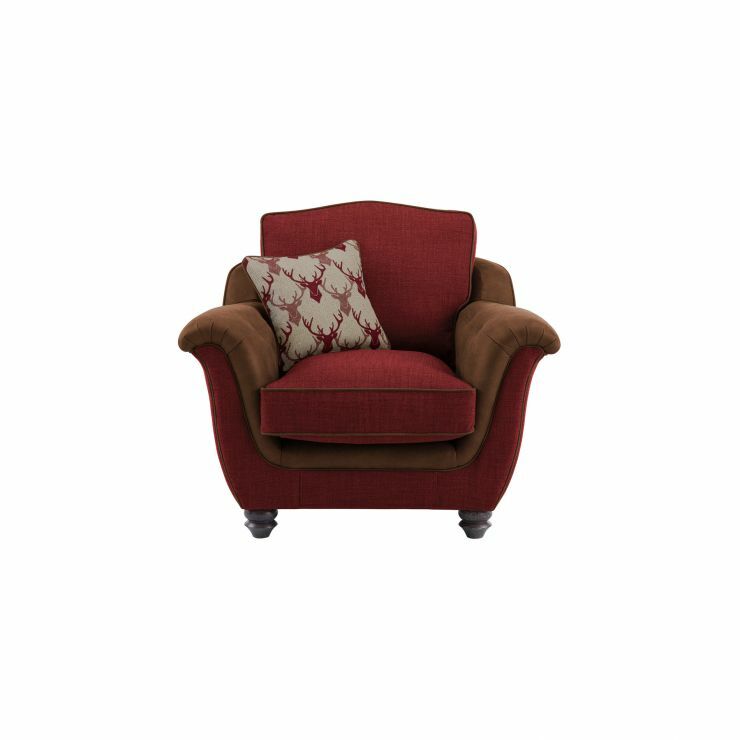 The spacious and comfortable Galloway armchair in Red with Almudar Stag Scatter is the perfect retreat after a long day. Boasting a plump, fibre-filled cushion and a striking scatter cushion for a laid-back finish, you can truly sit back and relax in luxury comfort. The classic shape and subtle rustic-inspired detailing make it a great addition to any office, bedroom, or living room.